What’s next after IBPS RRB Exams ? The exam series of this year’s most wanted ones started with the SBI PO exam and then the exams started to flow with the start of IBPS RRB Scale I Officer Prelims examination and then followed by IBPS RRB Office Assistant Preliminary examination 2017. These exams are over now and even before these most wanted and expected exams, the exams like NICL, NIACL, Bank of Baroda, KVB PO, Federal Bank PO, Federal Bank Clerk and some exams were for filling the vacancies for the Manipal school of Banking for various Banks. Out of that list one bank has postponed the exam process and till now there was no announcement of the exam and many such suspense exist like that. So what is the learning of all these exams. If you have attended all these exams, you would have got an idea about the variations in the pattern of the exams, the difficulty level of the various exams, the increase in cutoff marks of those examinations and also the increase in the aspirants writing the examination. According to the speculated rumors , this year the vacancies for the recruitment for the Institute of Banking Personnel Selection has seen a drastic decrease in the numbers and according to the notifications of those individual ones, we have inferred that some of the banks have not released their vacancies yet and they might release their vacancies list in the near future(They may or may not). We wish that the number of vacancies should be increased and those banks which have not released their vacancies should release it soon. There will be multiple questions that will be circulating you now after the exams. Always remember, only two possibilities are there either it can be a TRUE event or a FALSE event. As like this , those exams too will have two sure events, either you will CLEAR the preliminary examinations and head to the mains examination of both the IBPS RRB Scale I Officer and IBPS RRB Office Assistant (Multipurpose). Also you would have now be aware of what may be the cutoff after the preliminary examination. As said above the other event goes like this, you might miss the opportunity to write the mains examination. The world on’t end with the preliminary examination , so why are you worrying about it. 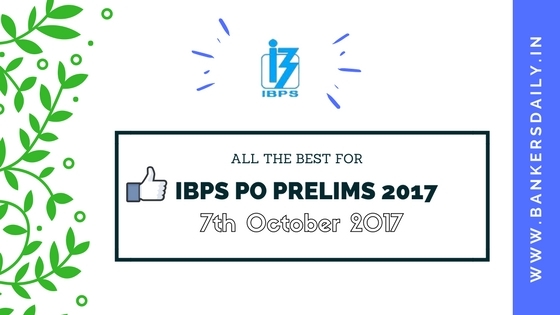 Since the preliminary examinations of both the exams are over and you still have one month for the IBPS PO 2017 and more than a month for IBPS clerk 2017 preliminary examination. Also the mains examination of both the IBPS RRB Scale I Officer and IBPS RRB Office Assistant will take place after some days but it is definitely going to happen and also still one more day is there for the IBPS RRB Office Assistant Preliminary examination and some slots are remaining too. After that the same goes to them too. Good things happen to people who work hard to attain it. So you have to start your mains preparations now for the IBPS RRB Scale I officer and IBPS RRB Office Assistant 2017 to clear both the examinations. This will also help you for the preparations of IBPS PO and IBPS Clerk 2017 and even for the other exams like UIIC Assistant mains and OICL AO Prelims and mains examination and also for other exams like IRDAI and LIC HFL. Even though the pattern of all these exams which are going to happen in the forthcoming days are little different from each other , most of them is the same. Only minor changes for all the exams. For example, In federal bank PO, there is a new section like “Digital Banking” (May be, we can expect the same in future exams too. So take note of it). Start preparing for the mains examination and also don’t forget you still have IBPS PO and Clerk preliminary examination in the days to come, so prepare for that too and also for others exams. Every aspirant would have written their examination in a great manner and you should start your preparations for the mains examination from now on. The analysis of the various slots of the exams clearly told the exam was easier this time. Self motivation is the one thing that will help you to rise above all the odds and to start preparing for the exams. Time management is the most important thing in mains examination, so attend daily tests and enough number of mock tests before the exams which will help you to score more with less time in the examination. 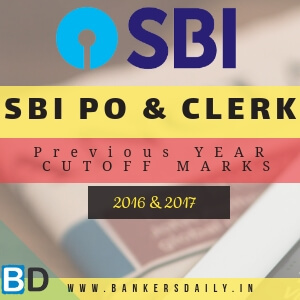 Do remember the SBI PO mains examination 2017 and the future exams will also amaze you like that, so be prepared for anything and conquer the exams. General Awareness section has also got some changes, banking awareness section was given the utmost importance and so, know what to read and choose the ones that are more important. Give more importance to banking, finance and international transactions between countries and by International organizations. Do not miss out important ones. If you have struggled to solve a problem in the prelims examination, now is the time to practice that type and master it. Learn the basics, even if the questions are hard to attend and crack, you can solve that question even if it takes time. Getting marks is very important in that matter. The last thing which you have to remember is, remove the negative thoughts from you mind and it’s hard and fear engulfs always, try to come out of it and be a winner. Remember you are always ahead of someone who hasn’t started his preparations and if you still look close only a meager percentage of the candidates prepare to the full extent and give their full potential. You should be in that meager percentage to taste success. Wish to know the expected cutoff marks of IBPS RRB Scale I Officer and IBPS RRB Office Assistant(Multipurpose) preliminary examination, please click the links below to read that. To know the review , analysis and questions asked in the IBPS RRB Office Assistant Preliminary Examination 2017, please click the link below. What should be done now ? What's next after IBPS RRB Exams ?